I am very excited to share my music with all of you. I would be particularly glad to contact those people who consider what I do as something special: please do not hesitate to write me because I am always available for you! I am looking forward to provide my know-how for cooperation and joint projects. I sincerely appreciate your visit and your proposals. In effect, I hope to communicate with you and I cannot wait to meet you very soon. “Carlos is a young musician with great talent, supported by sensibility, intelligence and dedication, carried out with admirable rigor and seriousness. 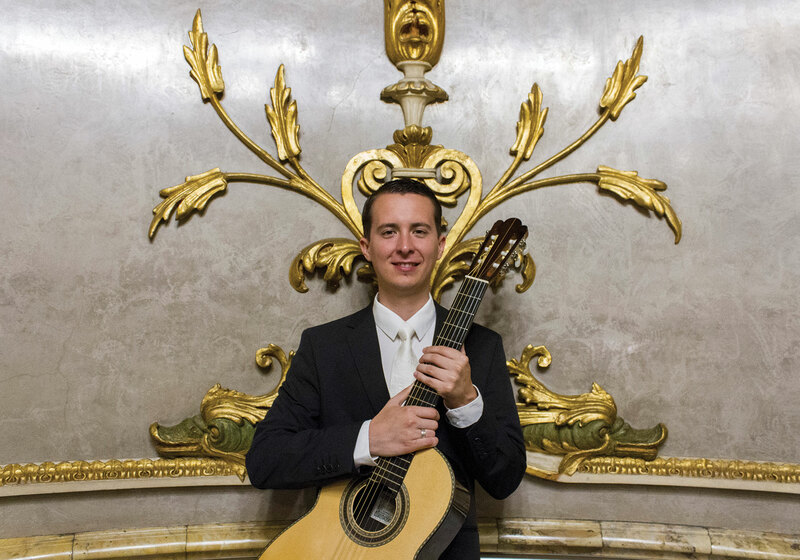 “As a guitarist, Castro displays a refined technique, great ability and a clear and precise management of sound, as well as great sensibility and expressiveness in accordance to the style performed.